FABULOUS NEW PRICE! Stunning 21st floor penthouse with rarely available Potomac River views overlooking Georgetown and the Kennedy Center. This 2, 700 square foot 3BR/3BA residence offers 10 foot ceilings and floor to ceiling glass windows and doors. Unique features of this penthouse include private elevator entry, large entertaining balconies, designer lighting, remote controlled shades, art lighting, sound and more. High Tech systems throughout.Control Four System makes this home state of the art! This residence comes with a private 2 car garage inside the garage plus storage galore. 24hr concierge, onsite mgmt, valet parking. Full service health club and pool. Theater room, social room, and catering kitchen. Legendary Turnberry Tower service. 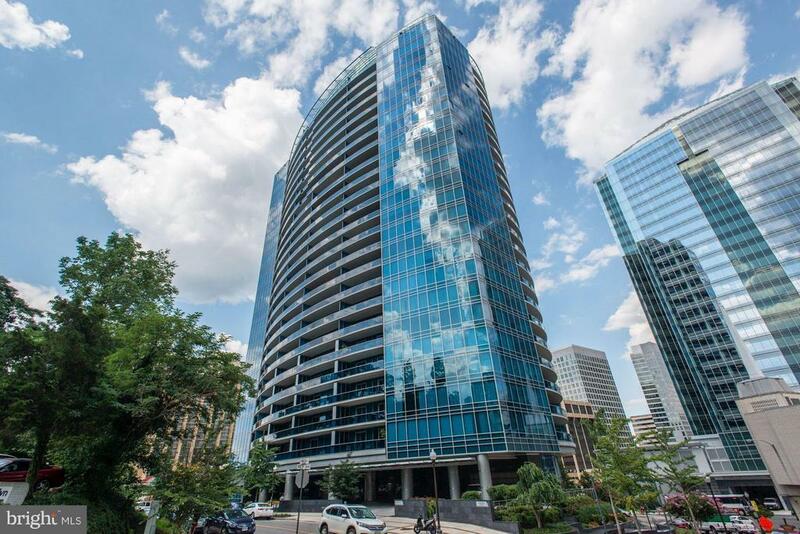 Turnberry Tower Arlington is state of the art engineering including geothermal heating and cooling. Stunning custom furnishings are available seperately if interested. Directions: Key Bridge to Rosslyn, Right on N. Nash.